Using this powerful design source transactions [such as Buy, Sell, Dividend, Payable booking, Expense Booking] trigger all the Accounting entries in one single update. Entries for Counterparties, Portfolios, Ledgers, Asset Classes are completed across many tables with one update status and one insert. 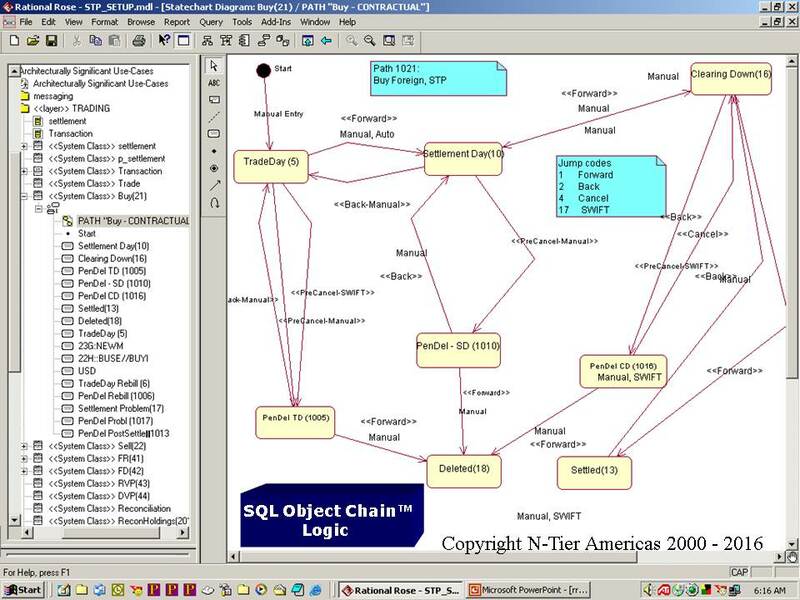 These tables can be encrypted across different entities in a chained algorithm. 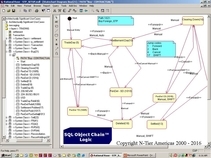 The unique architecture of N-Tier's SQL-Object-Chain™ Technology facilitates back-dated trades, seamless workflow of transactions & accounting instantly. All Fails and reversals can be processed within the main Settlement or Custody or Corporate Action Workflows in complete synchronization with the originating trade. The change in status from Open to Pending Cancel is automatically updated in the Messaging module for APIS, SWIFT ISO 15022. 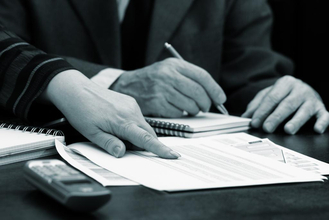 Clients and Counterparties are automatically updated and synchronized within the Firm's ledgers reducing the level of exposure to the firm for reconciled or contingent liabilities. All firms face issues with creating new Books N' Records with interfaces for different lines of business. N-Tier Americas has faced this issue over the past 17 years where we interfaced transactions into different Corporate Accounting systems and Group Reporting modules. Transfers and updates to/ from Legacy systems are controlled by N-Tier's middleware in a seamless fashion. The N-Tier suite of ledgers provide a rich data-mine of Accounting Data for onward analysis by the firm. All ledgers interface with In House Accounting systems through file transfers and direct updates to staging tables. Legacy APIs managed by N-Tier's unique middleware ensures that uploads to and downloads from Legacy mainframe and Unix Accounting systems are processed seamlessly without error. The ledgers are fully multi-currency with built-in links to Trading, Settlement and Corporate Action Systems. All transactions are captured intra day with end of day balancing available. Back dated transactions are catered for with full revaluation of currencies to a base currency nominated by the firm. The N-Tier Books N' Records system includes a fully reconfigurable Chart of Accounts take-on sub-module. Account nomenclatures of all constructions are provided for. The Chart of Accounts will always reflect the same structure as the original one at the firm thereby ensuring consistency and accuracy of reporting.